Neanderthals evolved further north than us humans. They had to deal with a colder climate at the best of times. At the worst of times, they were dealing with several full-blown ice ages. This forced them to adapt, and they eventually evolved many features to deal with this cold1. Macaques are the second most successful primate (after humans, hooray for overpopulation). Some species have also headed north, encountering similar tough environments that forced Neanderthals to evolve. So, you guessed it, those macaques have also been evolving. In fact, new research by Buck et al. reveals they’ve accumulated many similar adaptations to Neanderthals. Some of these are also shared with other cold-adapted human populations2. Part of me hopes Buck et al. haven’t discovered all the similarities between macaques and Neanderthals. Maybe we’ll also find out that those ancient humans loved to splash about in hot springs just as much as the monkeys. The chilly monkeys in question hail from Japan. There’s a lot to like about the country, but in this case, the islands are interesting for featuring several different environments. That meant Buck et al. could compare monkeys living in warmer climes with those from further north in the island chain. Or rather, they could compare monkeys that used to live in those different environments, since the 80+ macaques studied here were all long dead. Which is handy for research, since monkeys tend to be much more compliant as skeletons. These groups ranged from Yakushima, one of the southern Osumi islands, to the famous macaques in Nagano, in the north of Honshu. Much of this geography might fly over your head, but you’d probably recognise the monkeys in question. They Nagano group are the ones which love to play about in the hot springs. Asides about cutesy monkeys aside, the other great thing about monkey skeletons is you can take some very accurate anatomical measurements. Which Buck et al. did to see if there was a climate influence on how these different populations were adapting. The main trends Buck et al. noticed was size. Macaques living in a colder climate were generally smaller than their cousins in warmer homes. In particular, this extended to the limbs which were relatively short in colder species. Neither of those trends is particularly surprising. They’re key adaptations to reducing the surface area of the body, which is a great way to reduce heat loss. As such, these changes are so common in cold-adapted species there’s a whole biological rule about it. As such, the fact that humans and Neanderthals living in cold climates also have these features isn’t that shocking2. The face also follows a similar pattern. The more north you go, the wider and flatter the macaques’ face was. This is similar in both northern humans and Neanderthals and is the result of that same biological rule2. Wider faces help create a rounder braincase, reducing its surface area and thus heat loss3. This can be quite significant since the brain burns 1/4 of your caloric intake. So be sure to wear a hat if you want to stay toasty. All in all, these difference seem fairly expected; with all these species following a similar pattern for similar reasons. But this general trend is just hiding the really interesting results. 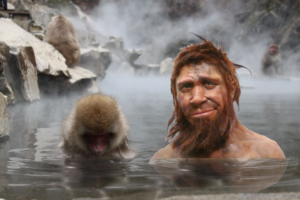 See, whilst we all adapt to the cold in the same way, humans and Neanderthals can travel much further north before our body has to change. 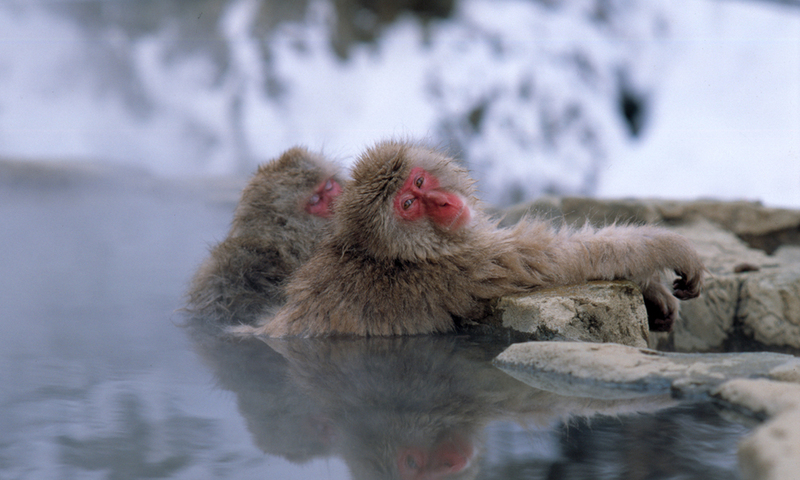 Japanese macaques have to change their body and face to deal with the climate, whilst Japanese people don’t. Thanks to technology, they can survive just fine without any evolution. Clothes, fire, shelter, etc. all serve to insulate us from the cold2. This is particularly impressive given the rather luxurious fur these macaques have. Clothes, it turns out, are still better. Sure, this is a great excuse to pat ourselves on the back for being awesome. We can use our brains to do adapt to environments it takes evolution millennia to deal with. But it also represents a great opportunity to find out more about our ancestors. You see, pinning down the development of things like clothes, hair loss, or even fire can be quite difficult as most of the evidence disappears. But if you can start to make inferences based on anatomy – which sticks around a lot longer in bone – then we have the potential to fill in these gaps. Did this group of humans have a narrower face than expected? Maybe they’d invented clothes! Or, like the macaques, maybe they’d found a lovely hot spring to hang out in. Wroe, S., Parr, W.C., Ledogar, J.A., Bourke, J., Evans, S.P., Fiorenza, L., Benazzi, S., Hublin, J.J., Stringer, C., Kullmer, O. and Curry, M., 2018. 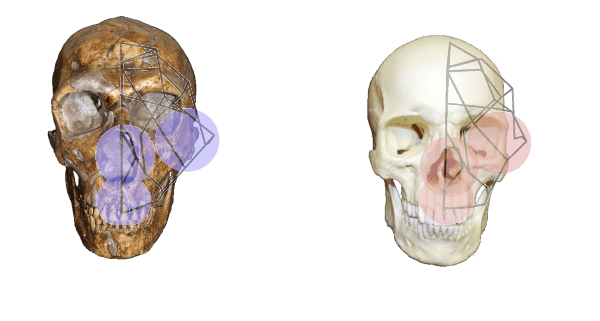 Computer simulations show that Neanderthal facial morphology represents adaptation to cold and high energy demands, but not heavy biting. Proc. R. Soc. B, 285(1876), p.20180085. Buck, L.T., De Groote, I., Hamada, Y. and Stock, J.T., 2018. Humans preserve non-human primate pattern of climatic adaptation. Quaternary Science Reviews, 192, pp.149-166. Hubbe, M., Hanihara, T. and Harvati, K., 2009. Climate signatures in the morphological differentiation of worldwide modern human populations. The Anatomical Record: Advances in Integrative Anatomy and Evolutionary Biology, 292(11), pp.1720-1733.